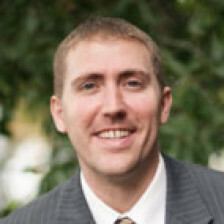 Conner Watts regularly advises on tax, estate planning, and business strategy matters. He is an estate planner for individuals and families who want to ensure that their retirement and succession goals are achieved. With a particular emphasis on serving private business owners, Conner plans corporate succession matters to ensure the continuity of a business during times of ownership transition, generational change, or the exit of a business partner. As a result, he has also been asked to be a business strategy advisor to small companies that have reached critical stages of expansion in their life-cycles. In this role, focuses on decisions surrounding entity formation, corporate structuring, operating agreements, tax minimization, employment matters, and other best practices. He has been described as an important part of advisory teams, working in conjunction with accountants, bankers, and financial professionals to assist in the legal protection for Atlanta companies in litigation-prone industries. Conner handles IRS debt representation and tax resolution matters. He has been awarded the Enrolled Agent designation from the Internal Revenue Service, recognizing competence to represent taxpayers in audits, collection actions, refund matters, and appeals. Sporting the unique combination of a fully-authorized tax professional as well as an attorney, he is in a great position to negotiate and resolve tax disputes. 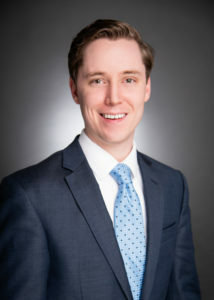 Conner earned his law degree at the Georgia State University College of Law, where his primary focus was on corporate transactions, estate planning, and tax law. He was the recipient of the Outstanding Student Achievement Award in Tax Law from the State Bar of Georgia. For his pro-bono work in the Philip C. Cook Low-Income Taxpayer Clinic, he received the Trammel Foundation Outstanding Service Award from the Atlanta Bar Association, as well as the J.B. Moore Fellowship Award. Conner earned his Bachelor of Arts degree from the University of Georgia. Currently, Conner sits on the editorial board of The Mortmain, a quarterly estate planning publication for the Atlanta Bar Association. Conner lives in Roswell with his wife, Kelly, and his daughter, Veronica. They are parishioners at St. Francis de Sales Catholic Church, where Conner is an active member of the Knights of Columbus. In their spare time, Conner and Kelly enjoy trying new restaurants in the Atlanta area, traveling, and watching the Georgia Bulldogs.